Carrie Hahn lives in the Helena valley. She became interested in driving during the 1989 Montana Centennial Wagon Train. Shortly thereafter the Ten Mile Drivers club was formed - she was instantly hooked! She is president of the Ten Mile Drivers, an organization that does all sorts of events-overnight trips, day drives, shows, play days, sleigh rides and much more. 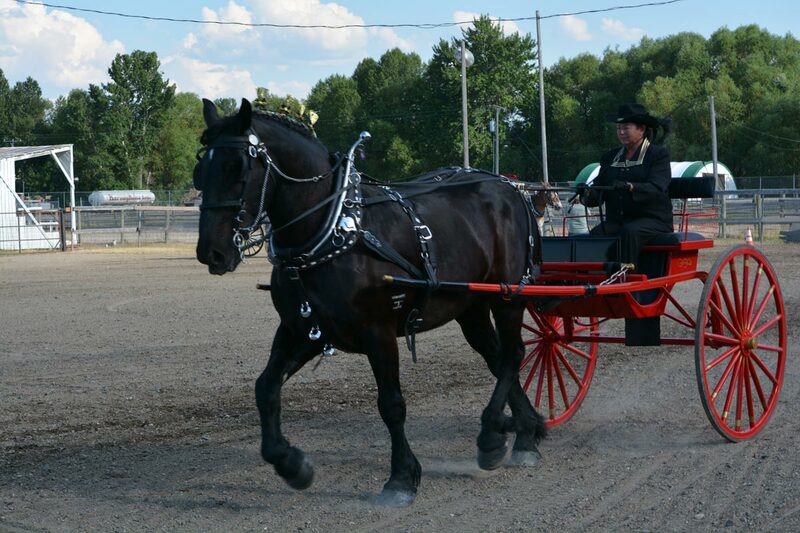 She has Percheron horses and enjoys doing anything she can with them. She is constantly learning new things and enjoys the camaraderie of her fellow teamsters.